Have you ever thought that you depend excessively on your partner? Or maybe it's the other way around and he or she depends way too much on you? 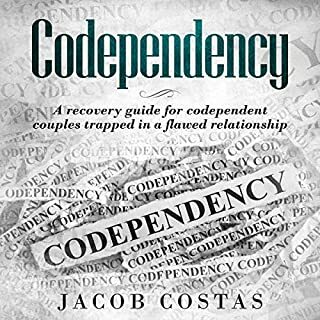 Whether you're in a new relationship or have been several years married, codependency might rear its ugly head and breaking free of the cycle can seem challenging or downright impossible in some cases. 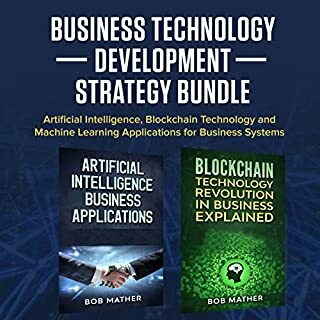 If you're looking to make the most of artificial intelligence and blockchain technology for your business, this audiobook is for you. Artificial intelligence and blockchain are the tech of the future. But if you're not already working in the field or studying their depths, it can be difficult to find information in layman's terms. As a business owner, especially a small business owner, we are always looking at ways to improve the efficiency of our business: outsource, automate, scale, marketing.... AI and blockchain technology could revolutionize the way business is done. 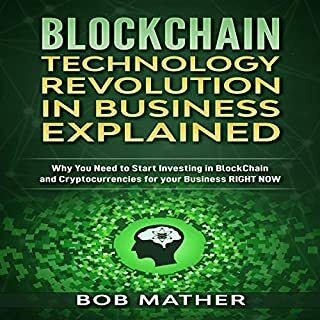 If you want to learn about how blockchain technology can impact the future of your business, then you need to listen to this audiobook. Blockchain is the tech of the future. But if you're not already working in the field or studying the depths of blockchain, it can be difficult to find information in layman's terms. The Road to Self-Discovery Through Spiritual & Emotional Growth was created exactly with one big purpose - to provide you with the right information and tools for self-discovery, self-awareness, and self-acceptance. 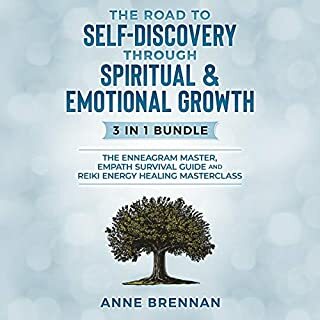 It’s an exclusive three-in-one collection of audiobooks by Anne Brennan that will help you focus on the most important aspects of your self-discovery journey. Megan Fox, the Kardashian family, Gwyneth Paltrow, LeBron James - do you know what this list represents? 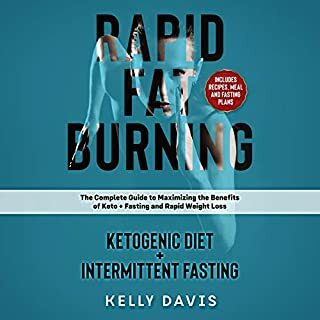 It’s a list of celebrities who decided to choose the keto diet as their way to get rid of excess fat fast. So if it worked for them - why would you want to miss out on this chance to achieve the same fantastic results? Many people struggle with their weight, and unfortunately as we get older, this struggle only becomes harder. For many years, following a typical “diet” meant a very tedious process of calorie counting and very intensive exercises. Great research and also great narration. In this groundbreaking book, New York Times best-selling author and Hollywood producer DeVon Franklin dishes the real truth about men by making the compelling case that men aren’t dogs, but all men share the same struggle. He uses the metaphor of a dog that needs training as a way to explore why behavior persists in men that can lead them to act against their vows, their integrity, and even their character. Have you ever felt that your relationship is in a less-than-ideal place? Have you ever felt "stuck" and ready to give up? Whether you're in a new relationship or are several years married, there might be days when you wonder how to keep the flame alive. This guide will help you discover amazingly simple little things that you and your partner can do, even with a very busy schedule, to help maintain and cultivate love, communication, and connection. Even if you currently feel completely "stuck" and hopeless, there's almost always a solution nearby. Real adult relationships aren’t just about feelings and thrills. They require some effort, plus the consistent desire to grow with our partners even through the tough times. Learn practical secrets to achieving a lasting love and a happy relationship even if you’re not super creative or a hopeless romantic. The solutions for making relationships work will not magically fall upon us. But today, because you are reading this, you have just gotten closer to becoming a keeper - or a dream lover, if that’s how you’d like to put it. Start improving your relationship today! A complete guide to restore relationships and working in harmony with your partner. Truly compelling! I'm putting my trust in this book. I will add this to my book collection. The thing this audiobook is I can strongly feel the author's desire for her readers to be in a happy relationship. I didn't fail in listening attentively and i was able to endure the whole book as books aren't really my thing. It focuses on improved communication and resolve conflicts in healthier ways which are the areas I’m very poor at resulting to almost- everyday-arguments. I'm gonna end it now with the assistance of this! How powerful! Several techniques and exercises that are included in this relationship book are practical. It’s slowly changing my mindset and I’m beginning to see the light in our relationship. My relationship has gone south and one of the reasons is I often receive a bunch of non-validating comments. 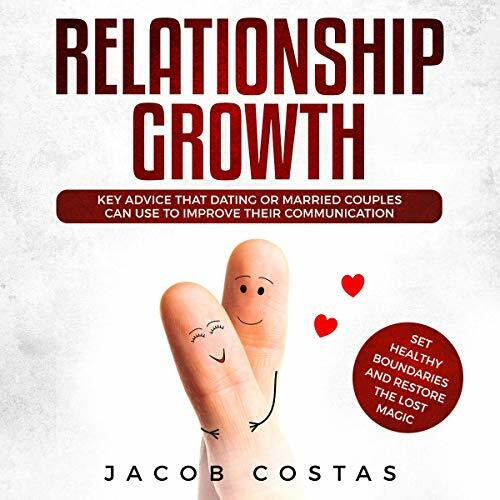 This relationship growth book has been a big help after it has presented a list of meaningful discussion especially on validation concept. A big encouragement! It can cure a lot of broken hearts. =) While the audio guide is not a flawless one, it has the ability to enlighten readers especially those who are stuck in poorly functioning relationships. Things are now going well for me. The elements of a happy relationship that are deemed as critical are carefully scrutinized here and helped me gain understanding. At first, I had trouble taking it all in. However, as I put some time into it, I noticed some little change in me and my actions toward my partner. The perfect supplement to my counseling! I’ve started our counseling sessions last month and I noticed counselling has limitations. I want to maximize every opportunity I have and that includes reading and listening to quality books. 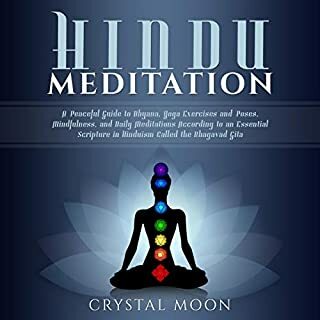 I find this audio book calming and attracts positive vibes. You will be looking forward to this like I did. I became more knowledgeable when it comes to handling conflicts the right away. This is slowly balancing my relationship and I have never been this happy. Just recently broke up with my boyfriend and well, I don’t have any plans to get into a new relationship now. It’s just too soon. Plus, I want to make sure I will be mature enough to handle it now. This one’s educating me well. Mighty thanks! Great for road trips, weekend getaways or quality alone time! In depth, thought provoking questions for new couples to get to know each other and established couples to build on their relationship. It's pretty good so far. We haven't finished it yet. It's good for date night conversations!Thank you! I enjoyed the book. I really love and enjoy this book. I was looking for something to help improve with the communicating area, this book really helps. It helped me enormously be reinforcing that I do have the right to draw boundaries, even with people I want to be close to. This is one of my favorite books. I bought it for a friend too. I hope that they like it as much as I did. We are both looking for a relationship. So I thought I'd share! A great book for anyone in a long-term relationship! These are the important questions partners need to ask of each other to ensure healthy& productive communication. Thanks Jacob! I'm in self help mode in order to improve my relationship with a special lady and with the advice provided by this book, I hope to win her trust and love once again. So far this book has helped me understand myself better and connect more deeply with my partner. I recommend it to anyone in a long term relationship who wants to foster a more trusting and open relationship.